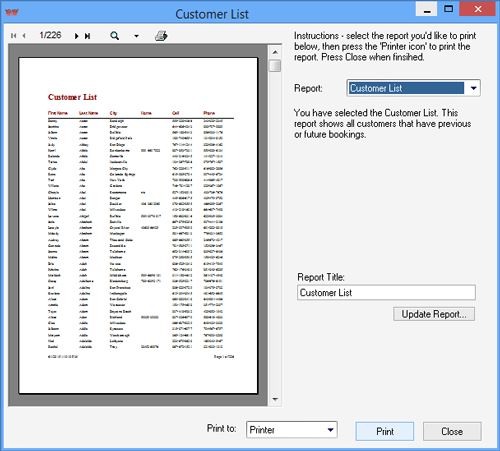 View common reports and export to PDF, Excel, CSV or Print directly. Common reports you'd use in a night auditing or accounts are available, from customer lists, payment balances, billing, occupancy, etc. are available. iMagic Hotel Reservation is also compatible with MS Office, so you can create custom reports with MS Access, Crystal Reports etc. You can also export to standard CSV files for import into accounting packages or spreadsheets like Excel.